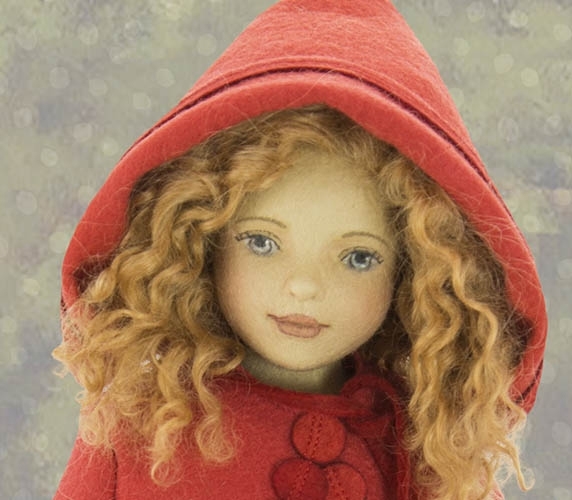 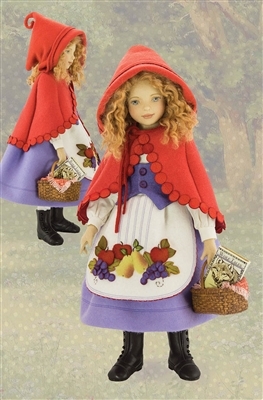 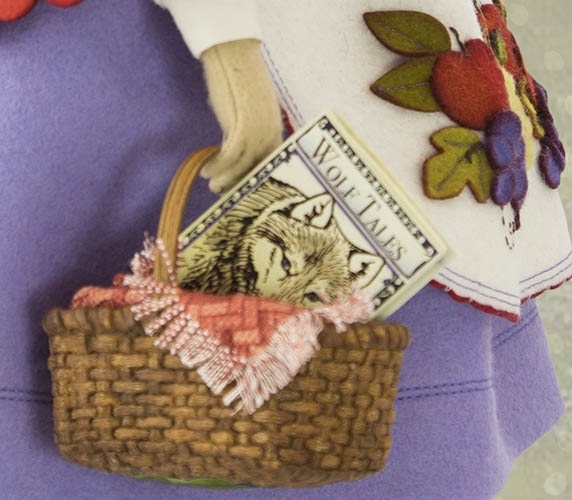 Red is 15.5 inches tall and has beautiful strawberry blonde curls that peek our of her classic cloak. 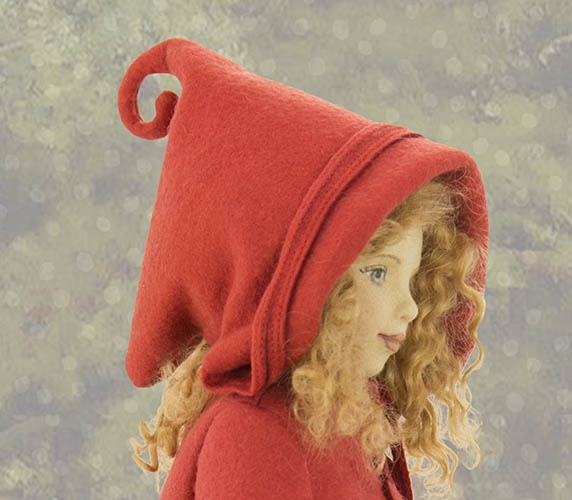 Her renaissance inspired tomato red cloak has air-brushed felt applique trimming and a peasant hood with a spiraling curl at the top. 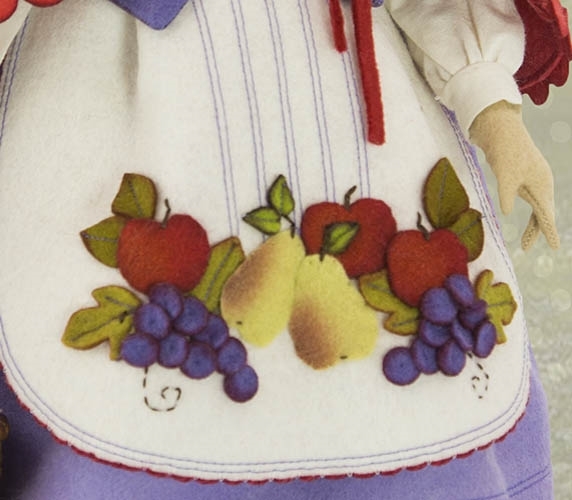 She is wearing a dark violet silk-lined vest, a cotton blouse with billowing sleeves, heavy cotton stockings, and an apron-skirt with embroidered felt leaves and a bountiful fruit design. 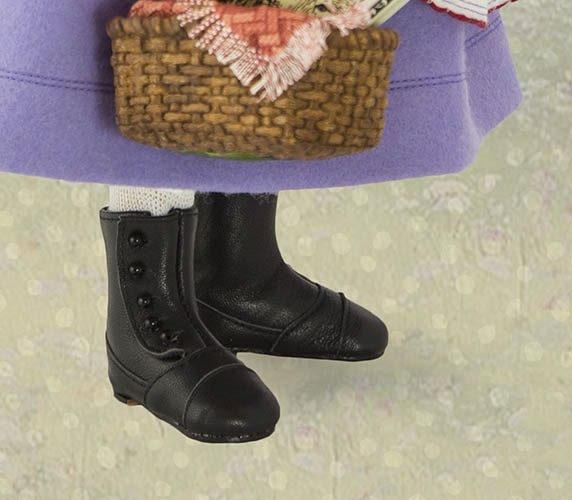 She's ready for the trail with her black leather button boots and her highly detailed basket (sculpted by Maggie) with a cotton liner, fringed red cloth, and a faux book.